The chalet is set over three spacious floors and has an outdoor deck that has stunning views across the valley to the Pleney slopes and up to the peak of Roc D’enfer and the beautiful Alpine village of Cote D’Abroz. The entrance level opens up to a beautiful, open plan living and dining area. There are two seating areas allowing guests to enjoy an evening around the fireplace or to relax in front of the TV. The dining room and kitchen are located on this level so guests can take in the vista through floor to ceiling windows that look out to the forest. Leading out from the living room is a fantastic deck that is bathed in sunshine throughout the day. Perfect for alfresco dining in the summer or for enjoying a glass of champagne in the hot tub surrounded by snow in winter! 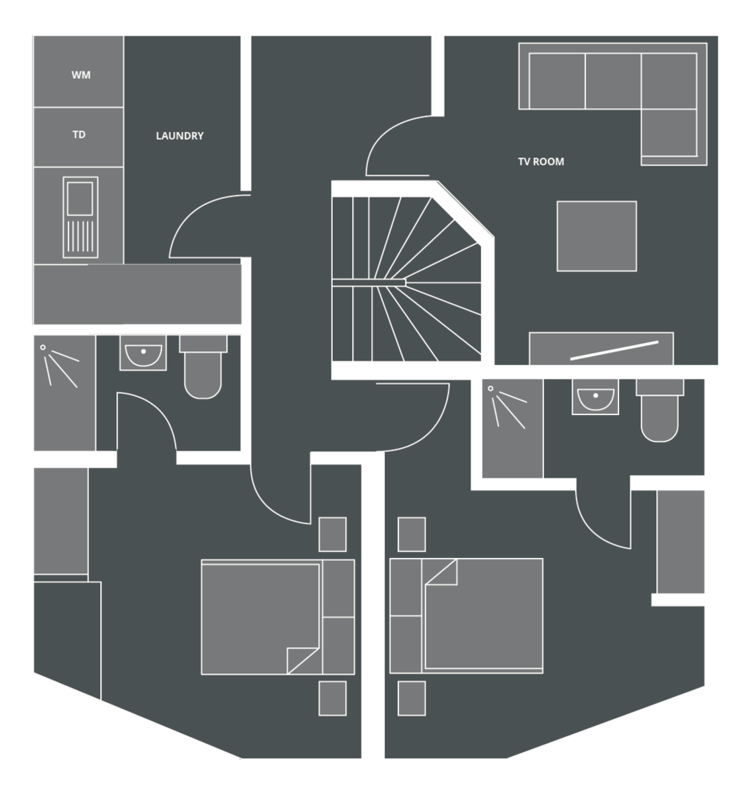 The upper level leads to three spacious bedrooms all with en-suite bathrooms. 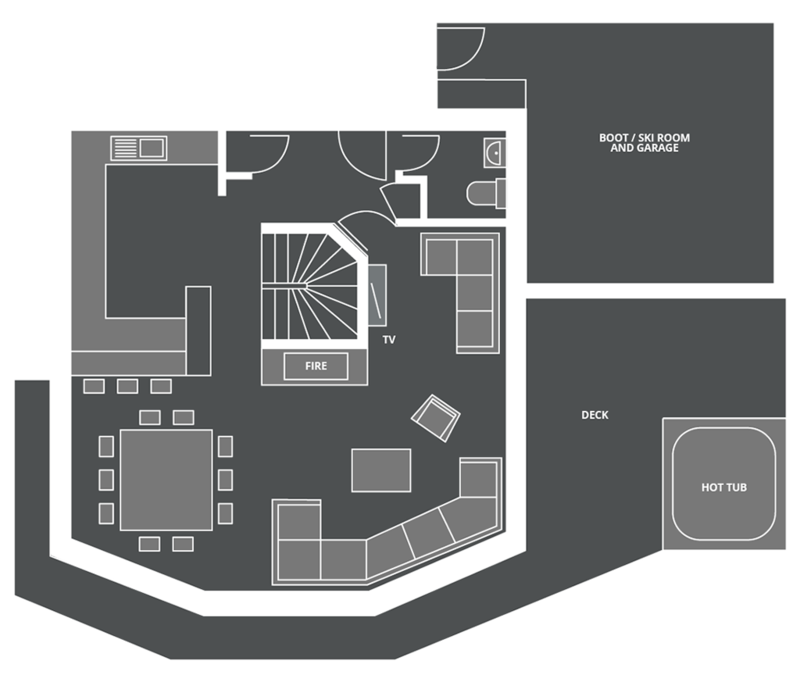 Two bedrooms can be configured as either a twin room or super king room whilst the third has a permanent king sized bed. The king room has a shower en-suite as does one of the other bedrooms whilst the master bedroom has both a bath and a shower in the en-suite. On the lower level of the chalet there are two bedrooms, a cinema room and a laundry room. With twinkling ceiling lights and UK Sky TV, the cinema room is perfect for relaxing and watching a movie after a day in the mountains. The sofa in here is convertible offering flexible sleeping arrangements for guests and can be set up as a double bed if required. 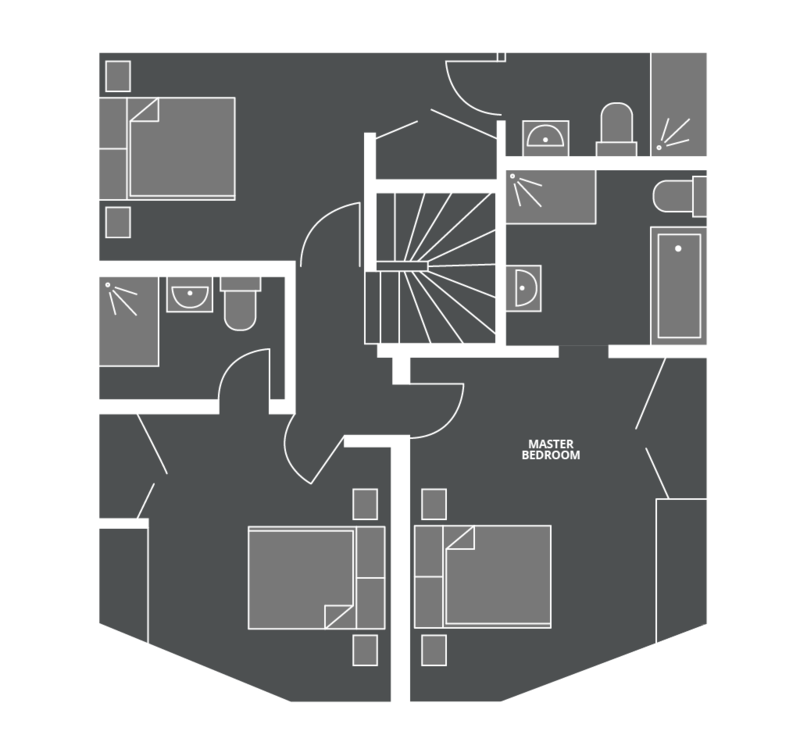 The bedrooms downstairs can all be set up as twin or super king and each have their own shower room en-suite. The laundry room is a welcome, practical space for families and has a washing machine and dryer available for guests to use. A large garage offers adequate parking for self driving guests and the bus stop is just a few minutes walk from the chalet itself. The bus is free and runs in both summer and winter making this chalet a great self catered option. If you prefer, our resort driver service is available to add on to your winter holiday meaning that you can be collected and dropped off whenever you choose. Welcome pack containing; champagne, beers, essential groceries, resort & piste maps, firewood and basic cleaning products. Chalet Lorne is located a few minutes drive from Morzine as you head towards Montriond. It is perfectly located for accessing the free bus which can take you to Ardent lift in one direction or in to Morzine centre in the other direction. For those who enjoy walking in to town, the chalet is about a ten to fifteen minute leisurely walk along a flat pavement from the central suspension bridge and centre of Morzine. The chalet is set in a new, small development of chalets which take advantage of the quiet, wooded setting overlooking the Parc Des Dereches. Chalet Lorne's location also means that it benefits from being on the sunny side of the valley and is in sunshine throughout the day.